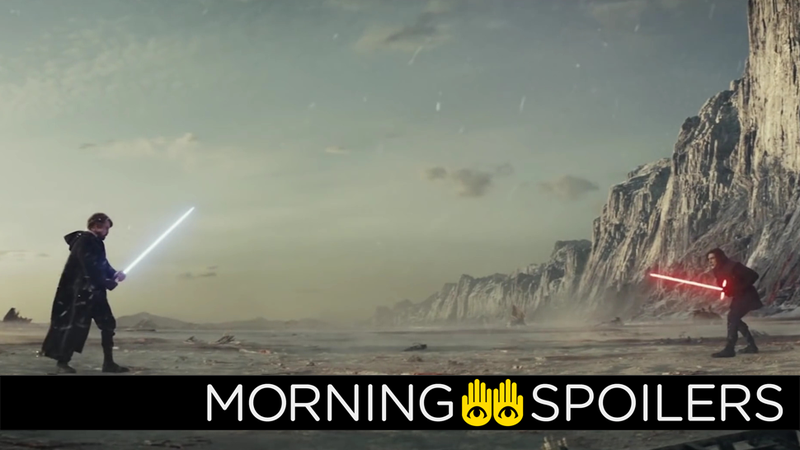 The future of the Rebellion is reignited in The Last Jedi. The “Hot Scoop or Shot of Poop” segment on the latest episode of The Weekly Planet Podcast cites sources who reportedly said that Matt Smith is set to play a young incarnation of Emperor Sheev Palpatine in Episode IX... yes, really. Thinking this one leans a bit more to “poop,” personally. In related news, Adam Driver dodged a question from Vulture asking what he finds “most interesting” about playing Kylo Ren. Speaking with Collider, producer David Heyman revealed a third Paddington movie is in development without the involvement of series director, Paul King. I don’t think Paul King will direct the third. He did the first two—he and I are working on another project together. … He’s very special, Paul. We’re developing a third Paddington. We haven’t got a script yet, we’ve got a treatment which we’re still working on. Instagram user @ninjawhip has a photo of Lego’s official ‘Skrull Leader’ minifigure. Meanwhile, Brie Larson reminds fans to vote today with a new set photo. The Joker takes a smoke break in the latest set photo from Todd Phillips. The cast and crew discuss Jude Law’s Dumbledore—and his relationship to Grindelwald—in a new featurette. Ralph goes viral in the latest clip from the Wreck-it-Ralph sequel. Deadline reports James Wolk has joined the cast in a “prominent,” though currently undisclosed, role. According to Deadline, Greg Kinear is in talks with Fox Networks Group Europe to star in a brand-new television series based on H.G. Wells’ War of the Worlds, which is entirely unrelated to the BBC’s current attempt to also adapt the novel. New initiates are forced to watch Faces of Death on VHS in the latest trailer for Syfy’s adaptation of Deadly Class.